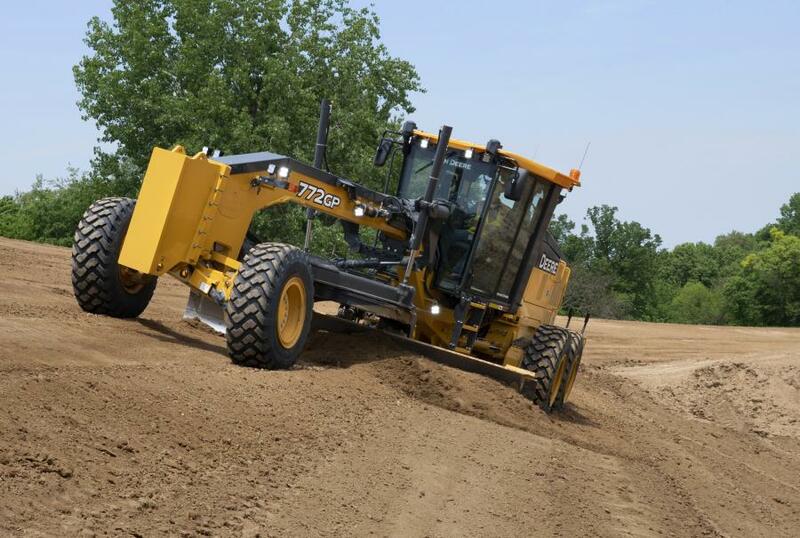 Road building and site development contractors can now reap the benefits of John Deere SmartGrade in the G-Series motor grader line. SmartGrade technology delivers mastless Topcon 3D integrated grade control as a factory option on new machines and field kit for equipment already on the job. The system is fully incorporated into the machine's structures and software, delivering precise grading performance while eliminating vulnerable masts and cables, according to the manufacturer. 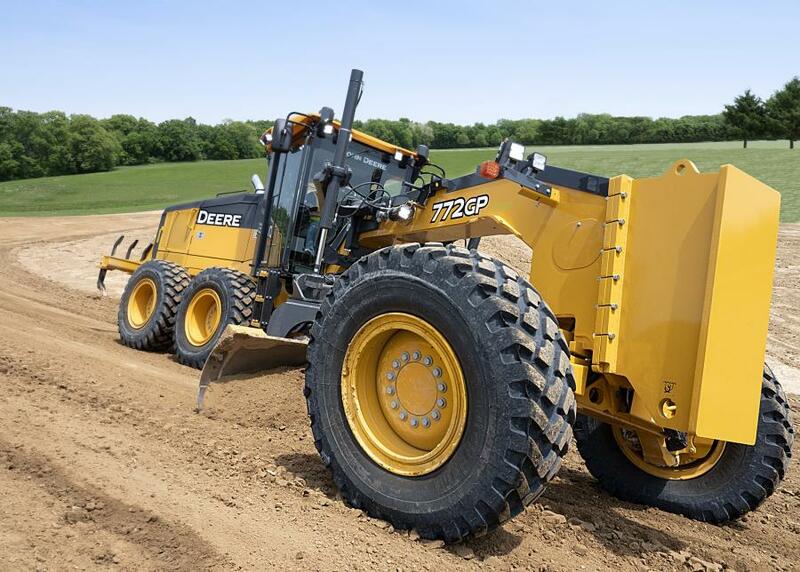 "Earthmoving customers already utilize SmartGrade technology integrated into Deere dozers, and many have asked when it would be available on the motor grader line," said Luke Kurth, motor graders product marketing manager, John Deere Construction & Forestry. "Today is the day, and we're excited to be the first manufacturer to offer this integrated solution to the industry. The same machine can now be used throughout the job site, from site clearing to final grade, maximizing operator resources and fleet utilization." SmartGrade eliminates external masts and cables from the moldboard, preventing possible theft or damage. This also removes the need to climb on the machine every day and install blade-mounted sensors and components, reducing setup time and complexity. By removing the masts and leveraging position sensing, the operator can now run without limitation, using all of the machine functions, like blade pitch, circle side-shift and circle rotate, without risking damage all while staying on grade. In the cab, the grade system interface is built into the Grade Pro (GP) controls available in the Deere exclusive fingertip or dual joystick design. An all new Automation Suite is included with SmartGrade and is available as an option on all GP graders, helping operators in daily production by reducing the number of controls needed to perform common tasks. The suite boasts auto-articulation, blade flip and operator-selectable machine presets. Auto-articulation combines front steering and rear articulation while blade flip, a Deere exclusive, enables the operator to automatically rotate the blade to a set position without holding the control at the end of a pass. Machine preset, another Deere exclusive, allows the operator to activate multiple functions by pressing a single button (Return-to-Straight, Auto-Shift, lights, etc.). Up to three positions can be stored in the monitor. "SmartGrade graders are the latest in a long line of technologies Deere has developed to help customers become more efficient and automate some of the controls for one of the most sophisticated pieces of equipment on the job site," said Sean Mairet, grade control product marketing manager, John Deere WorkSight. "Whatever machine you have on the job site, Deere's focus on industry-leading innovations will help operators be more productive and let owners better manage their workloads." SmartGrade eliminates external masts and cables from the moldboard, preventing possible theft or damage. This also removes the need to climb on the machine every day and install blade-mounted sensors and components, reducing setup time and complexity. Fleet managers looking to get the most out of their SmartGrade motor graders can rely on their John Deere dealers to provide support for both the grader and the SmartGrade system. Owners receive predelivery and follow-up inspections that include five years of JDLink telematics, machine health prognostics, remote diagnostics and programming capabilities.